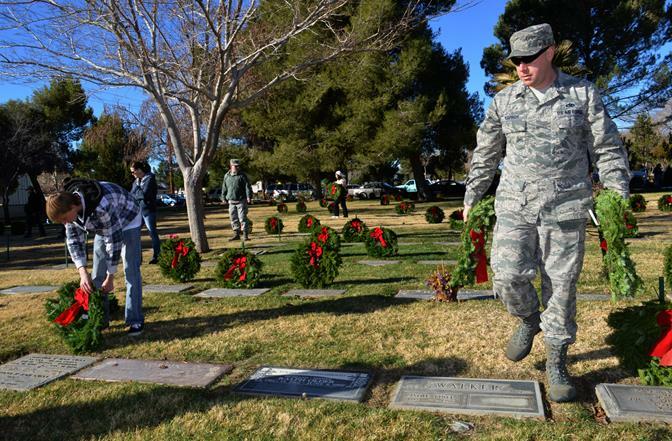 LANCASTER – Dozens gathered at the Lancaster Cemetery Saturday morning to recognize “National Wreaths Across America Day” by remembering the service and sacrifice of our local veterans. 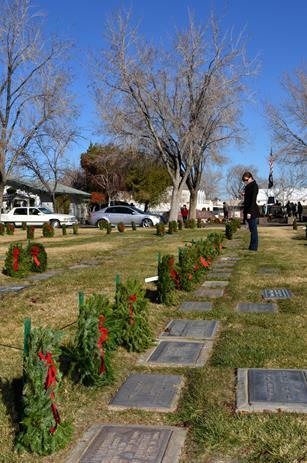 The group helped place holiday wreaths at the graves of the 800 veterans interred at Lancaster Cemetery District. 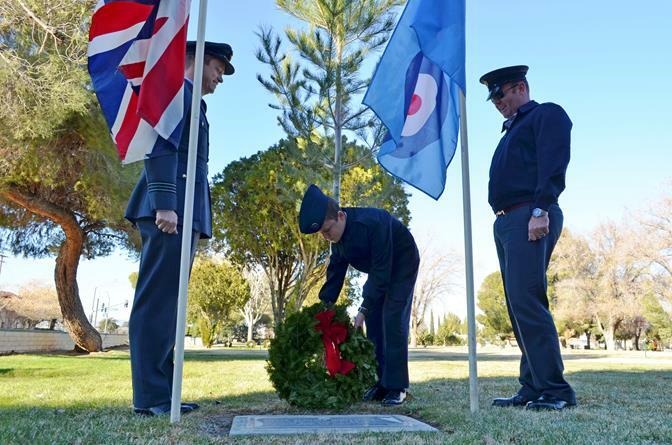 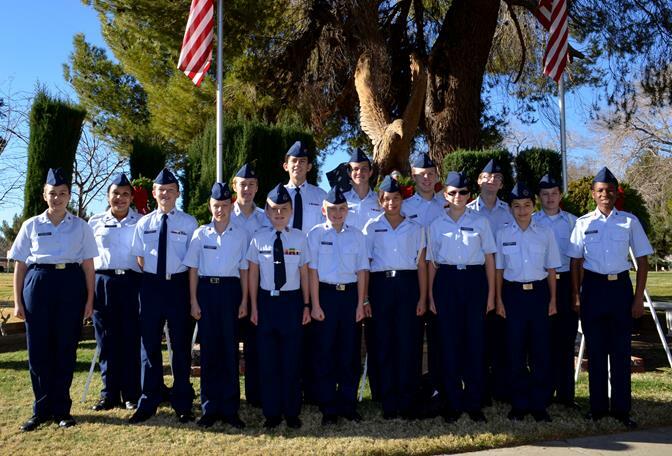 There was also a brief ceremony, which featured cadets from the Joe Walker Civil Air Patrol squadron raising the flags and concluded with an introduction to the history of the Wreaths Across America program. 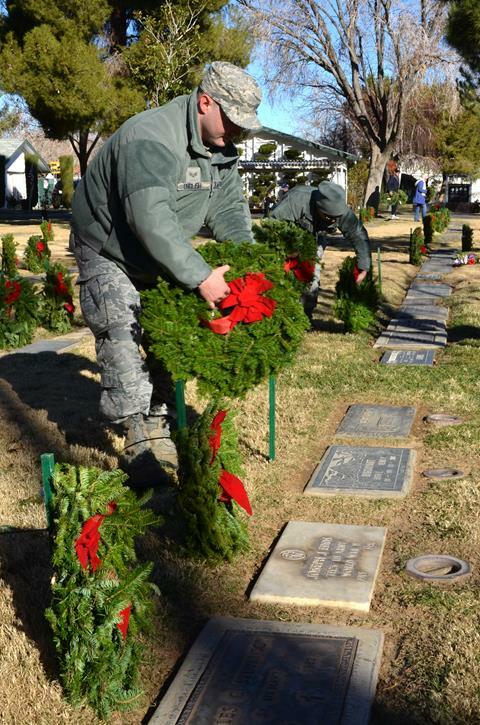 The Wreaths Across America story began over 18 years ago when Worcester Wreath Company (a for-profit commercial business from Harrington, Maine) began a tradition of placing wreaths on the headstones of our Nation’s fallen heroes at Arlington National Cemetery during the holidays. 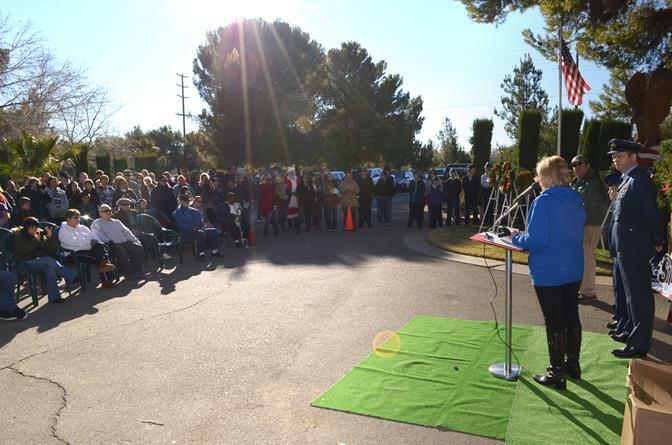 As word spread, the mission to “remember, honor, and teach” about the sacrifices made by our veterans has captured the hearts and minds of many communities across the country, including the Antelope Valley. 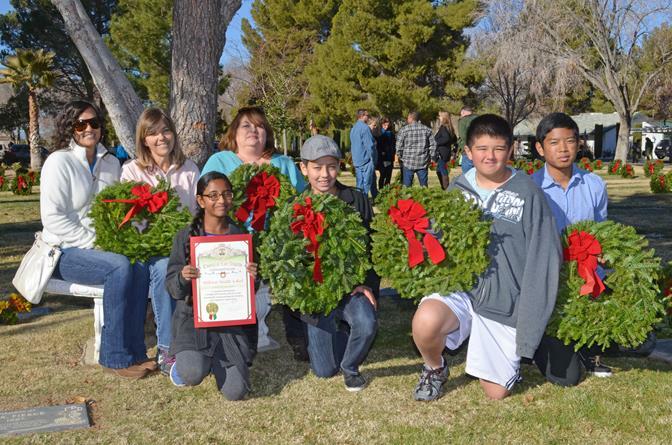 The following are some photos from the local Wreaths Across America ceremony on Saturday (Dec. 14), courtesy of TOM LLEWELLYN.